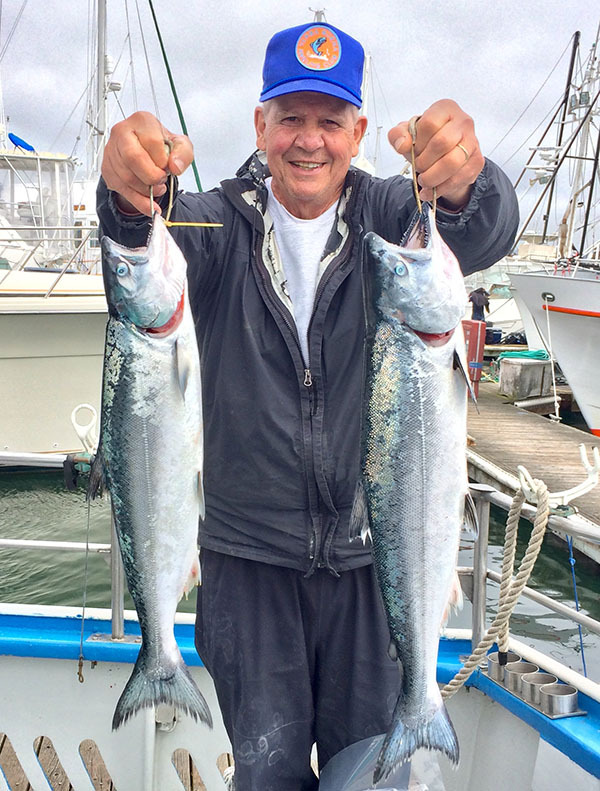 Charlie Deguara from Cupertino caught 2 salmon up to 7lbs on a crippled anchovy. 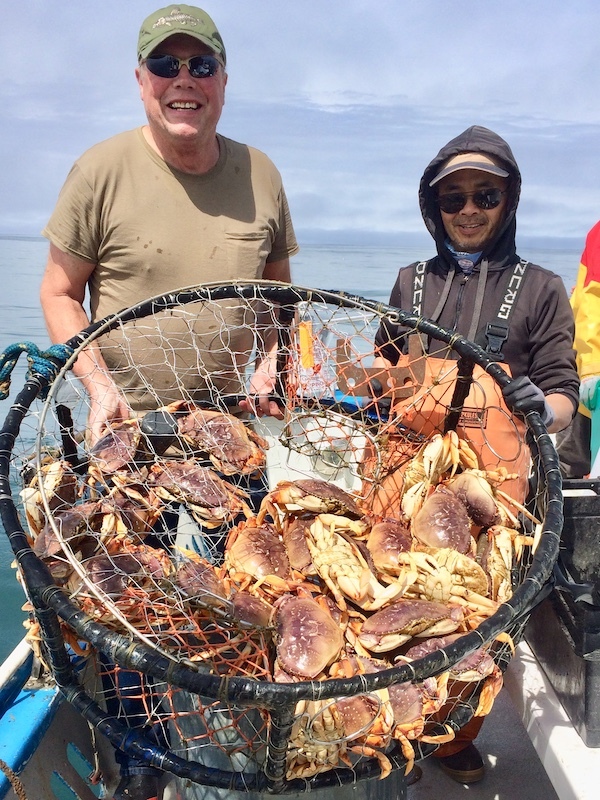 The Huli Cat out of Half Moon Bay went salmon fishing off of Deep Reef. 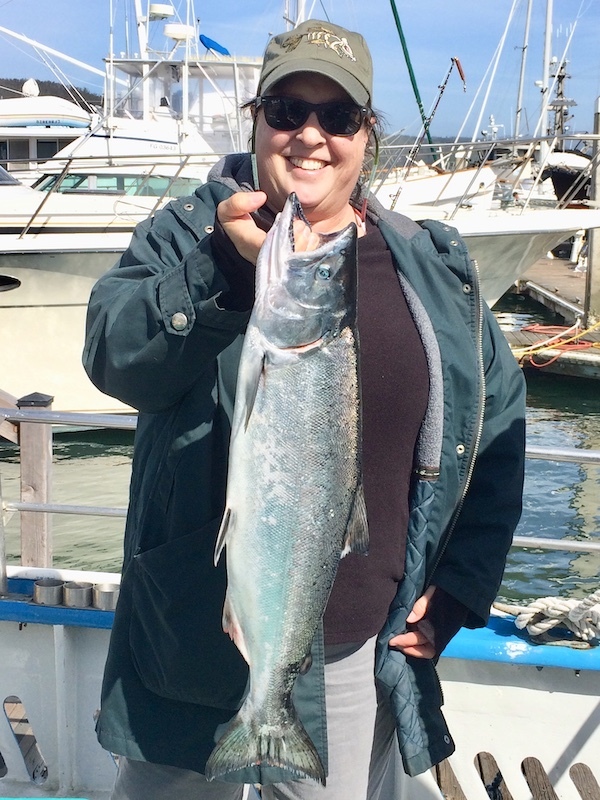 We had a slow bite today with 5 King Salmon for 19 passengers and 1 shaker. 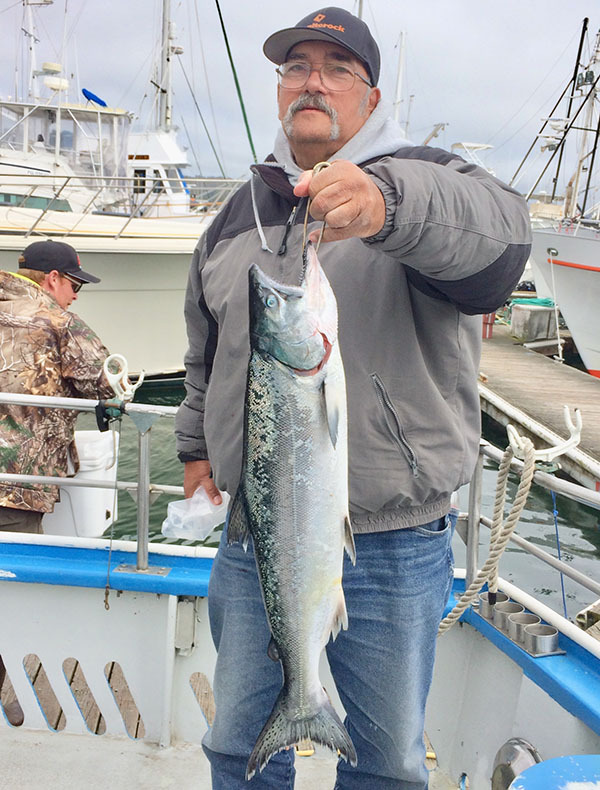 Ocean conditions were breezy with choppy swell. 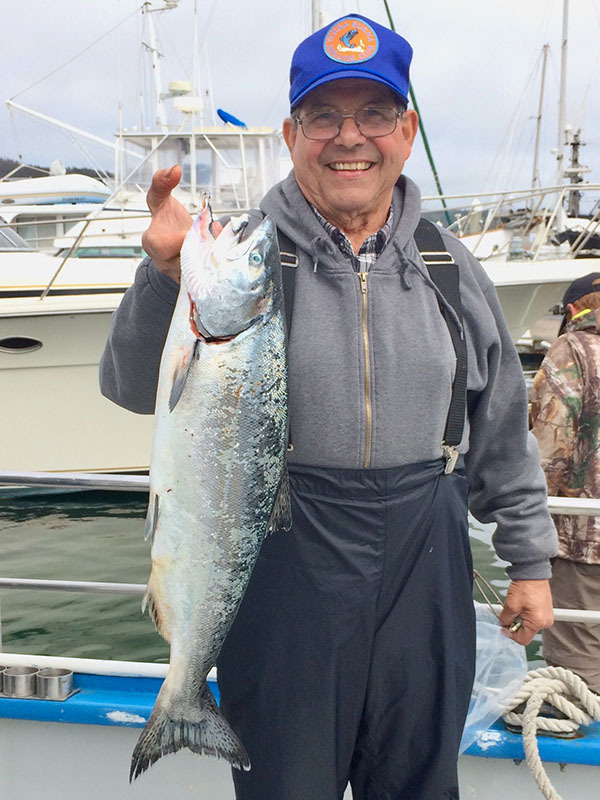 Pete Deguara from Sunnyvale with a 6lb salmon caught on an anchovy.